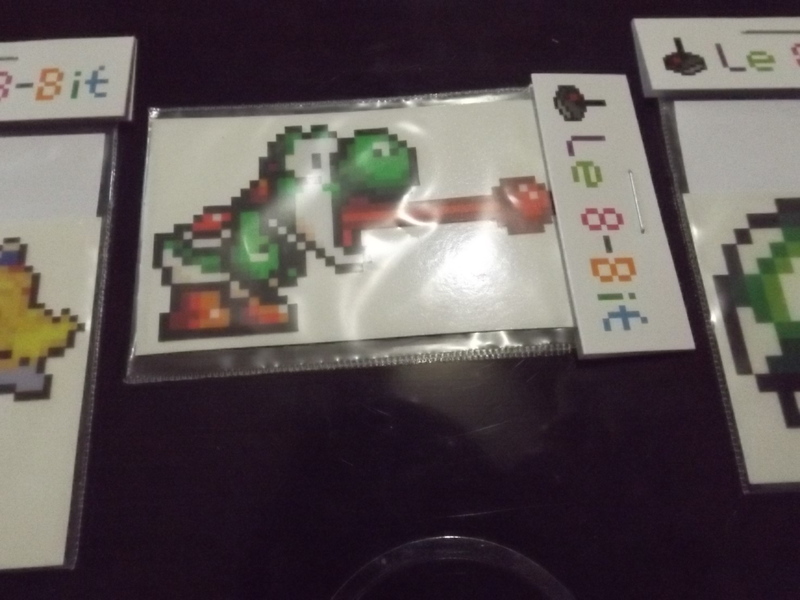 Le 8-Bit Decal Review | The Arcade Archives! 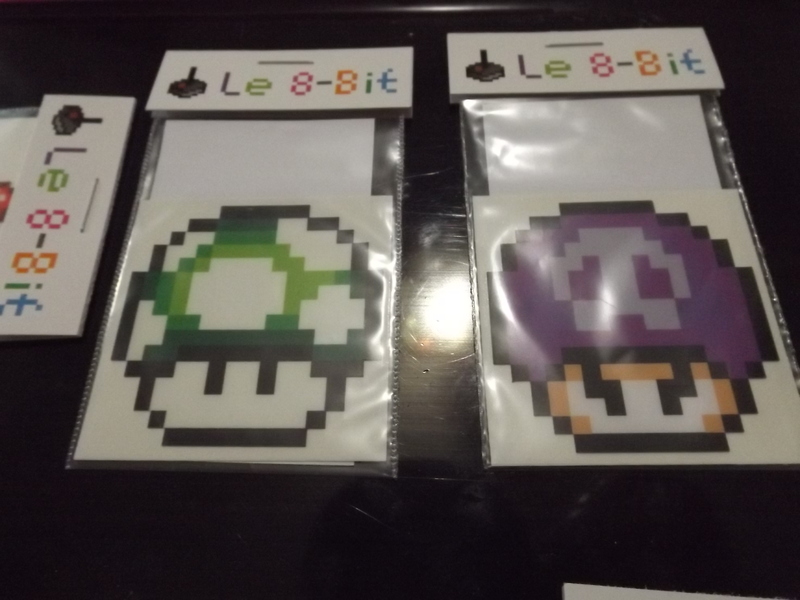 What you see in the photo above are 10 different decals from Le 8-Bit‘s Etsy store. I’m sure the first thing all you gamers out there notice is the amazing old school 8-bit graphics this decals are designed with. I’m sure for a lot of you this is the first format you started gaming on; I know it was for me. With the exception of one of these decals they are all characters from classic 80’s video games. The little girl with the pink hair for those of you that don’t know her she is Ramona Flowers from Scott Pilgrim graphic novels. The one next to Ramono is none other then Simon Belmont from one of my all time favorite video game series Castlevania!! I swear I bought that game for every system I owned. Yoshi I just one of several Mario themed decals in the bunch there is also Princess Peach and several different Mushrooms. There is also Sonic, Shadow, and Link! To round out the decals. I mean who’s childhood wouldn’t have been complete with out these incredible characters. I know some of you are thinking why would you want to deal with 8-Bit graphics when you can have video games that look so real its almost like a movie. I will tell you why because 8-Bit RULES! Plain and simple! There is something so simple but so wonderful about these graphics; it’s like going home after being away for to long! Ahhhh yes that is me; one of your fearless bloggers! I’m really a geeky chick! Enough about me back to these decals! Can I just say I LOVE these decals? Because I so do! The photos don’t do them justice but the colors are so bright and glorious. They range in size from about an 1 1/2 inches to 2 inches in height. They are made out of a thick vinyl; which is great because they aren’t going to split or rip when your removing them from the backing. I know we have all been there; I have a Harley Quinn that I don’t know how it survived getting on my car in one piece. They are also a great size to decorate just about anything!! Tablets, laptops, phones, car windows, or anything else you can think of!They also don’t just have video game characters! There is also super heroes! The prices are great to for such a high quality decal. The prices range from $5 -$10 depending on what size package you purchase! 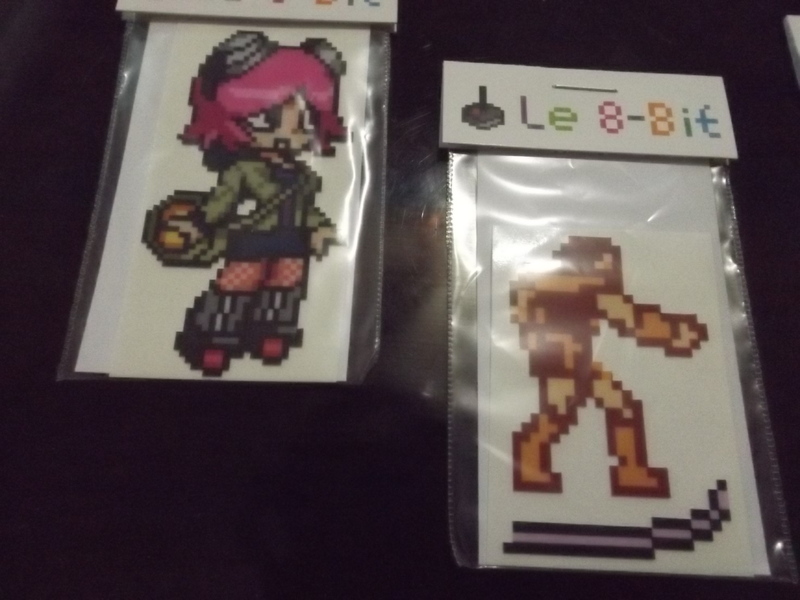 Le 8-Bit also has 2 stores for you to shop in their fabulous Etsy store and Amazon.com. Check them out you know you want to Le 8-Bit your world!! 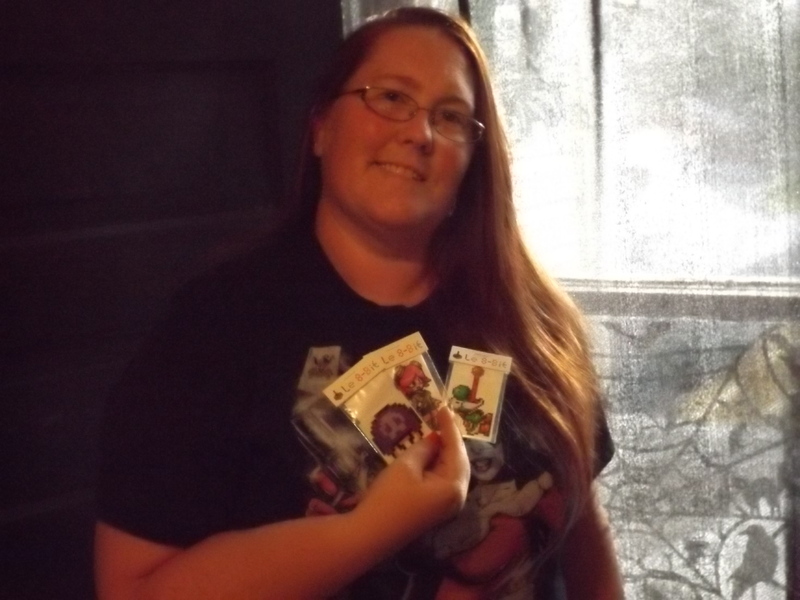 This entry was posted in Archive Entries and tagged 8-bit graphics, Castlevania, decals, Etsy, Le 8-Bit, mario brothers, Ramona Flowers, Simon Belmont, video game characters, yoshi by ravenheather. Bookmark the permalink.